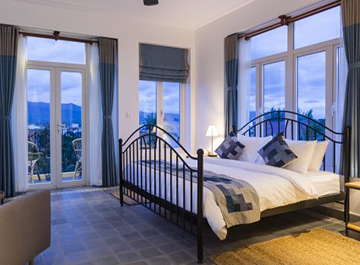 Address: On Street 705, near Salt Worker Monument, Kampot Town, Cambodia. 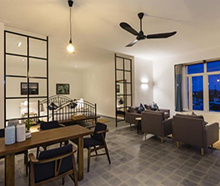 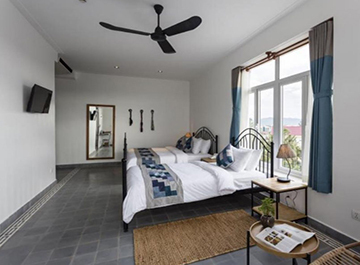 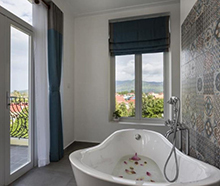 Description Brand new, very well appointed, boutique style hotel near town center, within easy walking distance of the popular riverfront area, the Old District and guesthouse street. 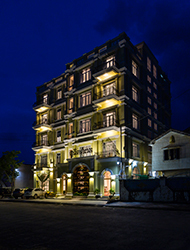 The rooms are spacious and nicely decorated, the beds and linens very comfortable, and the rooms are outfitted with all the expected amenities including flat screen TVs with CTV, air-conditioning, free Wifi, stock fridge, and the little things like free toiletries, hair dryers and coffee/tea makers. 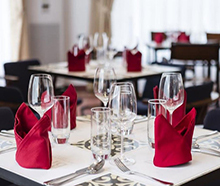 There is an in-hotel restaurant as well as plenty of other places to eat and drink nearby.